Full-time over-the-road (OTR) truck drivers, also known as long-haul truckers, are the backbone of the transportation industry. These men and women can be out on the road for weeks at a time, traversing thousands of miles up, down, and across the beautiful United States of America. However, long-haul trucking isn’t for everyone. Although the pay is exceptional and the thrill of seeing America from behind the wheel of an 18-wheeler is appealing, spending so much time away from friends and family can be hard on long-haul drivers. It can also be harder for long-haul truckers to maintain healthy lifestyles with so much time spent on the road. To get you ready for a long and healthy career after completing truck driving school, here are two tips for staying healthy as a long-haul trucker. There are a lot of distractions on the road, especially with all the fuel stops you’ll be making as a long-haul trucker. To avoid the sugary processed foods that line the shelves in truck stops across America, try to bring as many healthy snacks onboard with you as possible so you can stay full throughout the day and resist the urge to snack on candy and chips. Foods that are high in fiber will help you feel fuller, longer. On the days they’re on the road, long-haul truckers don’t have a lot of time to find a local gym or use the fitness center at the hotel they’re staying at. Fortunately, you don’t need gym equipment to get exercise and stay in shape. There are hundreds of body weight exercises you can do that only take a few minutes to complete that can make you feel stronger, look fitter, and even reduce the aches and pains associated with sitting behind the wheel hours on end. To take the first step towards your new career as a long-haul trucker, contact HDS Truck Driving Institute and learn about our CDL programs in Tucson. 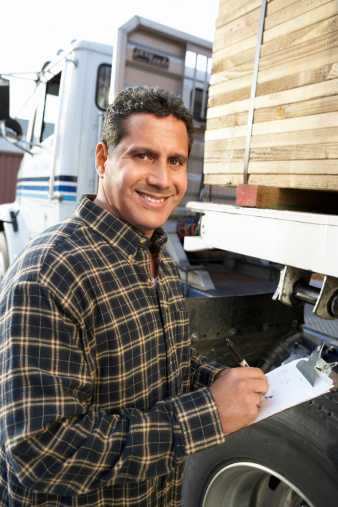 You’ll learn insider tips and tricks from our highly experienced faculty that can help you have a long, happy, and healthy truck driving career. For additional information on our truck driving school, call us toll-free at (877) 205-2141.